Tired of sore feet after a long working day? 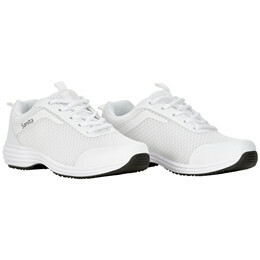 Sanita Rider Wave is a shoe designed for employees working in the healthcare sector. 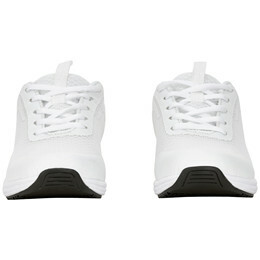 This sporty shoe is designed in a light and breathable white textile, which together with a white EVA/Rubber sole provides good comfort for your feet. The shoe is designed with a machine washable and antibacterial insole that can be replaced. 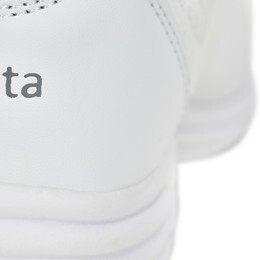 The insole is antistatic, so the static electricity is derived controlled and in a safe way.